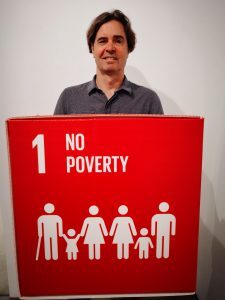 I’m Steve Kenzie, Executive Director of the Global Compact Network UK. I have been managing the Network since 2008. I also represent the Western Europe & North America region on UNGC’s Global Network Council. If you would like to talk about the Global Compact, either in the UK or globally, please don’t hesitate to contact me. 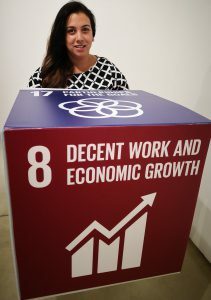 Hi everyone, my name is Benafsha Charlick-Delgado (also known as Bee) and I am the Senior Programme Manager at the UN Global Compact Network UK. I’ve worked here since 2015 where I organise events on human rights and labour standards. I also head up the Network’s Modern Slavery Working Group and act as the Secretariat for the APPG on Sport, Modern Slavery and Human Rights. Hi everyone! My name is Caterina, I am originally from Italy, and I joined the UK Network in May 2017. As Programme Manager, I lead on the activities of our Diversity & Inclusion Working Group and support our members in producing their annual Communication on Progress. Hi! I am Marc Robin, Programme Manager. 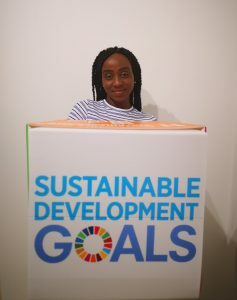 I joined the team in October 2017 and have mainly been leading on SDG activities such as the SDG Roadshow 2018 and the SDG Reporting Working Group. Hi! I’m Tessy and I joined the UK Network team in January as an intern. My role as Programme Coordinator can involve anything from updating our Network UK website, editing our monthly newsletter, to assisting the team and responding to general enquiries. Hello! My name is Cynthia and I am a Programme Coordinator. 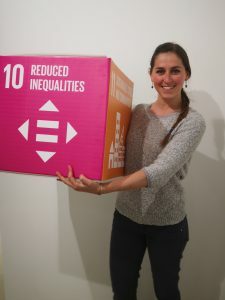 I work mainly on our annual SDG Roadshow along with my colleague Marc. I joined the Secretariat back in March and it has been a pleasure to work in such an inspiring team.